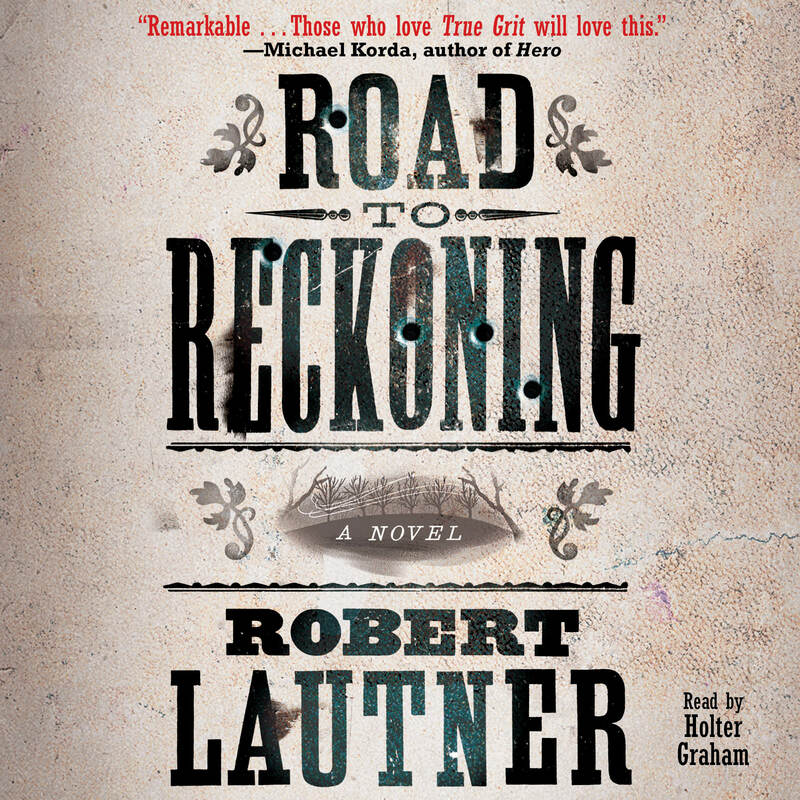 This reading group guide for Road to Reckoning includes an introduction, discussion questions, ideas for enhancing your book club, and a Q&A with author Robert Lautner. The suggested questions are intended to help your reading group find new and interesting angles and topics for your discussion. We hope that these ideas will enrich your conversation and increase your enjoyment of the book. Twelve-year-old Thomas Walker has never left New York City. His father, a traveling salesman hoping to earn money by selling Samuel Colt’s recent invention, the “Improved Revolving Gun,” takes young Thomas with him on the road. But even the world’s first true revolver cannot save them from danger, and what starts as an adventure and a precious chance for Thomas to spend time alone with his father soon turns into a nightmare. When his father is murdered, Thomas must rely on his own wits, courage, and determination, as well as a wooden replica of the Colt revolver, to protect himself. Luckily, an encounter with a surly ex-ranger, Henry Stands, leads to an improbable partnership, and the two set out in perilous pursuit of vengeance—that is, if they can escape the thieves who lurk around each trail, river, and road. 1. “The Lord made men,” the novel begins, “But Sam Colt made them equal.” What do you think this quotation means, in the context of Road to Reckoning? What was it about Colt’s inventions that changed society? Do you think this is a sentiment that Thomas agrees with? 2. Thomas’s father refuses to leave his son at home to go on what would prove to be an extremely dangerous expedition. Why do you think Thomas’s father insists on bringing along such a young boy? 3. One of the themes of the novel is the nature of the relationship between fathers and sons. As Thomas puts it, “It is a fault of nature that fathers do not realize that when the son is young he is like Jesus to them, and like Our Lord the time of his ministry when they crave his word is short and fleeting” (p. 13). What do you make of this comparison? Does this still ring true in the modern world? Why is the “time of his ministry” so short? 4. During the scene where Thomas’s father puts him in the path of Thomas Heywood’s gun, Thomas comments that he “did not understand it then,” but that “I have made my peace with it” (p. 24). Do you agree or disagree with what Thomas’s father did in that moment? What should he have done instead? What does this moment represent for Thomas, in his relationship with his father and his understanding of the world, and of men? 5. Early in the novel, Thomas wakes up to his father loading and preparing one of the guns. He says of that moment, “I told you when I started that my life began when I was twelve. It was there in that room. I did not exist before that night and I am still that boy” (p. 28). What is it about that moment that shapes him forever? What does he mean when he says that “he did not exist before that night? What does this reveal about the person he is to become? 6. During the robbery and murder of his father, Thomas realizes of Thomas Heywood and his gang that “they were children more than I” (p.34). Do you agree with his characterization in this instance, or generally? What is it about the gang that appears childlike to Thomas? In a similar vein, Thomas is only twelve: why does he view himself as beyond childhood? What do you think it is that sets him apart? 7. After initially refusing outright, Henry Stands eventually, tentatively, agrees to help Thomas. How does Thomas convince Henry to take him along on his journey? What is it that Thomas appeals to in Henry that forces him to agree to Thomas’s company? 8. When Thomas discovers Henry’s drawings of birds, it completely changes his previous judgment of him. What is it that the drawings reveal about Henry? What do they mean to him? Are there other such hints to this aspect of his character? 9. Although Thomas is desperate to return to civilization, his encounters with the representatives of the law (Judge Stokes) and the church (Mrs. Carteret and Mr. Markham) reveal their hypocrisy and selfishness. Meanwhile, Henry Stands exists almost entirely outside civilization, but does the most to actually help Thomas. What do you make of this attitude towards institutions and “civilization”? Do you agree with Thomas’s generally negative assessments of their worth? Is this something that has changed in the nearly 200 years since the time of Road to Reckoning, or do you think, like Thomas, that it’s “the same as it ever is,” (p.5)? 10. Although Thomas views his “abandonment of Henry Stands” (p.129) as one of his worst moments, Henry himself comments, “Good for you that you ran, I could not have helped you.” (p. 152). Why do you think Thomas is continually haunted by his decision to run away at that moment? Why can’t he accept Henry’s affirmation of that decision? 11. In many ways, Henry emerges as an alternative father figure for Thomas Walker, completely different from his actual father, but in his own way, also imperfect. How does Henry change the way that Thomas thinks about the world, and about violence? What does Thomas’s time with Henry reveal about his own father, and their relative strengths and weaknesses as father figures? 12. Thomas discusses his faith in God by saying, “We do not hang ourselves in our grief. We rise and bear, and you can mark us from those cowards and counterfeiters well enough: We have a bible in our homes.” (p.176). How does this resonate with other comments that Thomas has made about faith, God, and the bible? How do you understand Thomas’s faith? Is he a ‘religious’ man, as you understand it? 13. Early in the novel, Thomas comments, “I, to this day, only hold to one truth: if a man chooses to carry a gun he will get shot” (p.10). He also sees learning to shoot a rifle with Henry, a man who loves guns, as “something magical,” or “wondrous” (p.70). Finally, the first time he actually holds the Colt, he comments, “It has a beauty to it for sure…You understand that or you do not.” (p.168) In the end, how do you think Thomas really feels about guns? What influence does Henry have on Thomas’s attitude towards them? What new perspectives on guns did Road to Reckoning introduce to you? Do you agree with Thomas’s sentiment on gun ownership? 14. The image of the circus tent that holds Thomas’s crimes, and the ringmaster who shows them off is one that returns throughout Road to Reckoning. What, or who, do you think this ringmaster represents for Thomas, and for the novel as a whole? Why do these images in particular linger with him, and in this form? A Conversation with Robert Lautner It’s hard to believe this is the first novel about the Paterson, a gun that has played such a powerful role in the history of the United States and its culture—were you surprised when you found out there was no other such literature out there? How did you come across the story of Colt’s first invention? I couldn't believe that no one had written about it before. To put it in perspective we had gone hundreds of years with single shot weapons and if you include cannons we're talking almost half a millennium. The only alternative was multiple barreled guns or the air-gun and its kind as mentioned in the story. This was mostly due to the unreliability of early gunpowder and the possibility that if a gun carried several charges they might all “chain-fire” that is go off all at once and possibly maim or kill the bearer. The invention of fulminate powder and the percussion cap led directly to the possibility of a reliable repeating firearm. Colt's invention was a turning point and brought us into a new age. My coming to the story was purely from a childhood fascination of guns. I always knew the legend of Colt carving the parts of his first gun out of a ship's wooden block when he was still a teenager aboard a clipper ship and I loved the idea of this deadly weapon made only out of wood. The idea was that it is just the shape of a gun that can instill fear. The first scene that came to me, and which the whole book centered around, was what type of man could walk into a room filled with armed murderers with only a wooden gun. It was that question and getting to that scene that drove the engine of the book. Road to Reckoning is so rich with historical detail; how do you balance the requirements of research with telling a compelling story? Do you start with the history, or the story? How do they inform each other in your writing process? I start with the story. In fact I've noticed that I usually start with an object and ask myself, 'How did this get here?' I think most historical novelists would rather spend all their time doing research; you just get lost in it sometimes and go off in wonderful tangents. The trick is to research as you go. Get the story out as quickly as possible because that's the burning thing and you mustn't let it go out, then go back and start again with everything you've learned on the way and fill in the blanks. You'll find that what you've learned will manipulate the story to new levels that you couldn't have known of at the start. It's organic writing over formulaic. In your writing, do you plan the story out before you begin writing, or do you start writing without an end in mind? Was there anything that surprised you in your writing of Road to Reckoning, which you didn’t expect to happen? I always have a rough idea of the path of the story written down. This is usually stages that I want to get to, scenes I've imagined, and between these blocks of scenes is the story. I can't say that I always have an ending in mind. As I fill in the blocks they mutate, sometimes vanish and new ones come and the story does what it wants to do. In my opinion if you plot out a novel entirely you won't be able to surprise yourself or your reader. I feel that plotting a book completely is a very old-fashioned style of story-telling. Readers are more sophisticated now. I don't mean they're more intelligent it's just that we see so much more television and movies than readers before us that we can spot plots, endings and story arcs faster than audiences used to and if I don't know how my story ends than it's impossible for my reader to do the same. I hate reading a book when I know exactly how it ends by chapter three. I believe books are our last indulgence. If you're willing to spend so much time with me I'll do what I can to reward that indulgence. I was surprised by the cannibal Strother Gore. He came from a dream. I had become fascinated by the stories of the mines in my research and the sadness of all these abandoned towns and I came across a lot of cannibal stories from settlers and foresters. I imagined this kind of Gollum like creature still holding out, as abandoned as the mines and towns. His appearance is what I like to call a 'hurricane moment.' It's usually at the point in the book where the reader is totally settled, thinks he knows where it's going and then 'BAM! You didn't see that coming did you?' Strother was that moment. I felt I needed to give Thomas another jeopardy, something timeless, something outside the fear of getting killed and something that a young person or anyone so used to zombies and monsters that are no longer monsters, could still fear. And cannibals are almost of the old world of horror, something that should be supernatural, demonic but is still very much of the real world. The horror is that we all know that something like that is happening right now and we'll read about it only when they get caught or never read about it because they never get caught. I didn't want a child killer or a molester; that's an easy card that so many writers use. I don't believe in shock and gore as entertainment unless it's for that particular audience. Strother doesn't care that Thomas is a child and that was my intention. I hoped that that scene would bring the reader back to the childhood fear of losing your parents, of being alone and then someone comes for you, and not someone good, but the hope is that your father will always find you and he'll be bigger and stronger than the bad man. All of the story’s characters are powerfully memorable, but Henry Stands in particular stands out as someone who’s impossible to forget. Is Henry based on a real historical figure? Did any of the other characters have historical precedents? I based Henry on an amalgam of people and characters. Historically it was General Tecumseh Sherman and Wyatt Earp. I had pictures of Sherman around me all the time and read his memoirs throughout writing the book, and have you ever seen a picture of Earp when he was an old man? That's Henry's face. There's also a book called 'The Story of the Outlaw' by Emerson Hough printed in 1907 which is a serious study of desperados of the west in the nineteenth century. Some of the characters in that study became Henry Stands and Thomas Heywood and his gang. Other inspirations are a mix of movie actors I grew up with. The older Wayne and Eastwood, and especially Lee Marvin, are all there. The hotel owner, Mrs Hollinshead, Judge Stokes, and the mail carrier, Dean, although only briefly appear, are all real people from the history of Stroudsberg. How did you get the idea to have Thomas named after the Washington Irving character? What significance does that have for you? That's a component that I use in my writing. It may be a character's name or a painting or book mentioned in the story and the idea is that the reader goes and has a look at that and then gets another understanding about the character or the book's other characters and themes. I think it's a development of the “show don't tell” rule. I don't have to “tell” at all! In this instance it refers to the fact that the hard times we have now have always been and always will as long as greed is a motive and speculation designed to benefit the few and break the rest. And the Devil has his hand in it. Thomas’s perspective on guns, as it evolves and is shaped by his journey, is a fascinating, and rather complicated one. Do you share his difficulty in finding the balance between the beauty and horror of guns? Are you a gun owner yourself? I do share this dichotomy. I think the Colt Army revolver of 1873 is one of the most beautiful objects ever made by man but I am ashamed that the evolution of weapons has brought us to a point of no return. It's significant that the uglier guns get more adept at killing. They were once considered works of art, made by masters, possessions of royalty, as respected as paintings and sculptures. Now it's just about rate of fire and stopping power. When I was a kid, it was the art of the gun I most admired and I always had replicas that I either saved up for or had bought as presents which I would then take apart and reassemble endlessly. I live in a country where handguns are banned but we are allowed to own black-powder weapons; that is flintlocks and the like and cap and ball weapons such as the Paterson. I own a Colt Navy 1836 reproduction which is cap and ball and is a beautiful gun that I've had for over thirty years and is more than sixty years old and still works perfectly. It's deactivated as I don't believe in having a firing weapon. It's the form I admire. One of the most powerful themes of the story is the relationship between fathers and sons. Do you have sons who have read the book? Has your father read it? How did your own past inspire your perspective on the nature of the father-son bond? One of my reasons for writing the book was so that my sons could read it. I have four sons, ranging in age from two to twenty-two and I wanted to write something that they could all read at some point. Fathers and sons have issues. They have a bond but it's seldom expressed and I don't see any harm in that. It should be father first and friend second. Where I bond is in toys and movies. My father is old-school Catholic-Irish so unless it's about horses or Irish history he doesn't read! My own present perhaps has more to do with the story than my past. When I had my third son I realized I was at the age my father was when he had me and you always see your father as older but suddenly he became a young man to me. I realized he probably had the same doubts and problems and sacrificed his own pursuits for his children as I do. You always see your parents as assured and confident if you're lucky enough, but from then on I saw him as an older me and not just my dad. The novel takes place at such an interesting time in American history, when the exploration of the west was really beginning in earnest. What interests you about that particular era? How do you see the role of the Colt in the exploration of the west? My interest in the era was that I wanted to show another time when the country was in depression, on the cusp of industrialization, going from horse to steam, canal to rail and entering into a new age of firearms. I wanted to show how with regards to economics nothing has changed. This is an ongoing thing. It will always be. It's an economic constant. It's how economics works. People think that the whole 'one-percent' thing is a product of modern times. It's as old as civilization. It's only subtle in the story but the idea is one of hope. Thomas's father is taking a risk on a new venture. He's taking a chance. He's holding the future in his hands, maybe a bad future, maybe something that will just improve war but merit sometimes springs from wars and we advance. It's not governments that move us on; governments just want everything to stay the same. Individuals change things. Colt's guns changed America. What they gave to the settlers was an easy to use weapon to defend their homes and gave the army firepower to settle those lands. The expansion of America is directly related to the improvement of the gun and transportation. The limits of the canals was removed by the railroad and the limits of offense and defense expanded by the development of the metal jacketed round and the repeating firearm. Both became uglier. Progress is not pretty. Another reason for choosing Thomas Walker's name was the development of the Colt Walker. I didn't want that to be a coincidence. It was the most powerful handgun in the world for almost a hundred years. Our phones get upgraded every six months. That weapon was a pinnacle of achievement in its field for nearly a hundred years. What can we expect next from your work? Are you working on another novel? Would you ever consider working with any of the characters from Road to Reckoning again? I have completed another novel but I can't talk much about it because I've only just presented it. I have considered working with the characters again. Obviously Henry Stands is still alive and I am intrigued by the Fellenberg idea of institutional schooling as mentioned in the novel. What would it be like to go that school? And Thomas is an adult now. He'd be good for another story! 1. Much of Road to Reckoning is based on or references real historical figures and events. In addition to the true story of Samuel Colt, the novel contains references to Spur’s Defeat, The Wyoming Massacre, Teedyuscung and the Royal Proclamation, The Lewis and Clark Expedition, and the Girandoni Air Rifle. Choose one of these historical figures, objects, or events, or any other mentioned in the novel, and research its background. Share your findings with the group. How does knowing the real history behind Road to Reckoning change your understanding or appreciation of the story? 3. After many hard days on the road, and many meals of jerky and sofky, Henry Stands declares that a feast of beer and oysters is in order. And just like Henry and Thomas, you and your book group deserve to treat yourselves. If a beer and oyster snack appeals to you, make sure it’s a dark, ‘heady’ porter, and if you’d like to be really accurate, try baking the oysters. Or research another historically appropriate snack to prepare and share with your group! 4. Many of us have had similar attachments to childhood objects, the way Thomas does with the wooden gun he tries to find to show his family. Whether it is a sled, a toy truck, a doll or a G.I. Joe, if you’ve managed to hold on to your own special object, bring it in to share with your group. And if you haven’t managed to hold on to it for all these years, just try to find a picture (or make your own) of what it is that has stayed with you for all these years. Don’t forget to be prepared to relate the story of why it is that it has remained in your possession or memory for so long! Robert Lautner was born in Middlesex, England, in 1970. 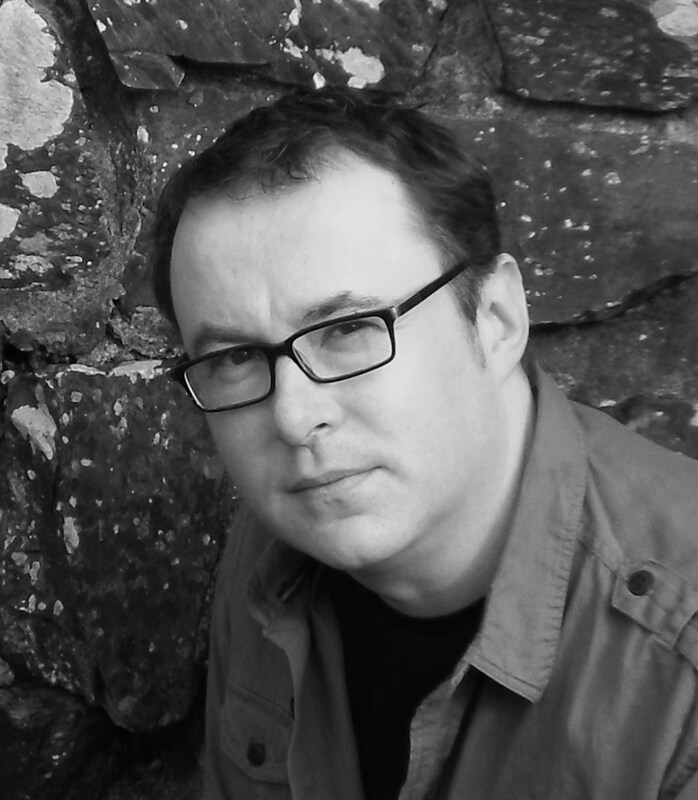 Before becoming a writer he owned his own comic bookstore, and was a wine merchant, photographic consultant, and recruitment consultant. He lives on the coast of Pembrokeshire, Wales, in a wooden cabin with his wife and children.